Are you keen to learn more about laminitis? Do you need expert advice regarding the correct and effective management of your horse or pony to minimise their susceptibility to laminitis? 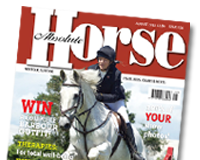 If so, Equine Education is offering an excellent online course, ‘Nutritional Management of Laminitis’ and we find out more about it in our March edition.